Author Adam Robe is a former foster child who was adopted at age 9. With more than a dozen years in the social work field, he’s helped hundreds of foster children and their families adjust to tough life changes. His most recent experience includes serving as the director of an adoption and child welfare agency. 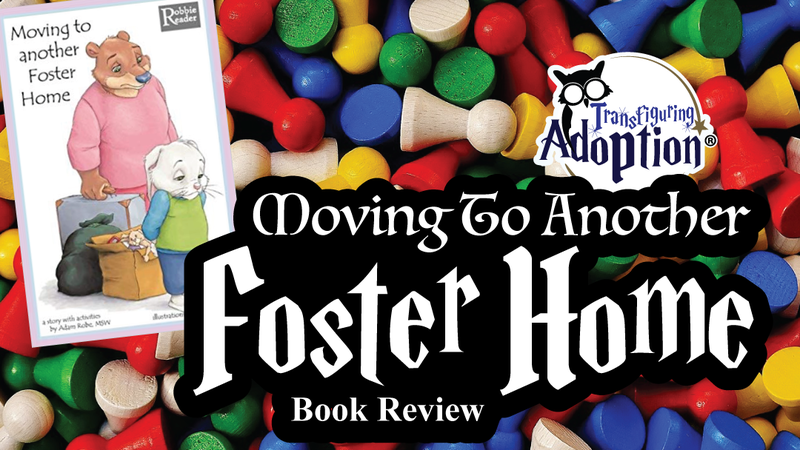 Transfiguring Adoption awarded this book 5 Hoots out of 5 based on how useful it will be for a foster/adoptive family. 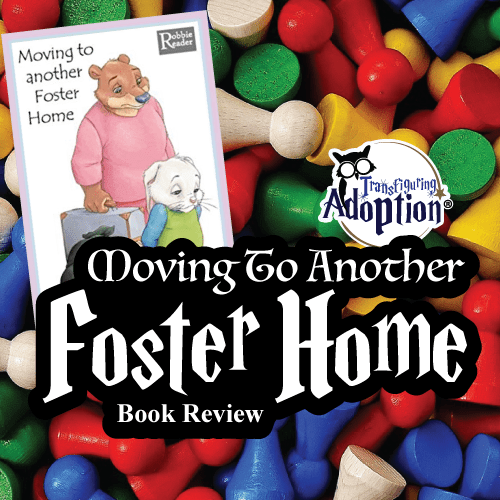 Moving to Another Foster Home does a fantastic job of showing what it’s like for a foster child being picked up from a foster home by his caseworker, finding out he’s being moved, and going to her office while she finds a new home for him. The book lets readers see Robbie the Rabbit bottling up his emotions and the caseworker working with him to try to find the best new placement and help him know how to interact in the new home. Our children who have been in 5 to 7 foster homes, were all able to relate very well to Robbie. 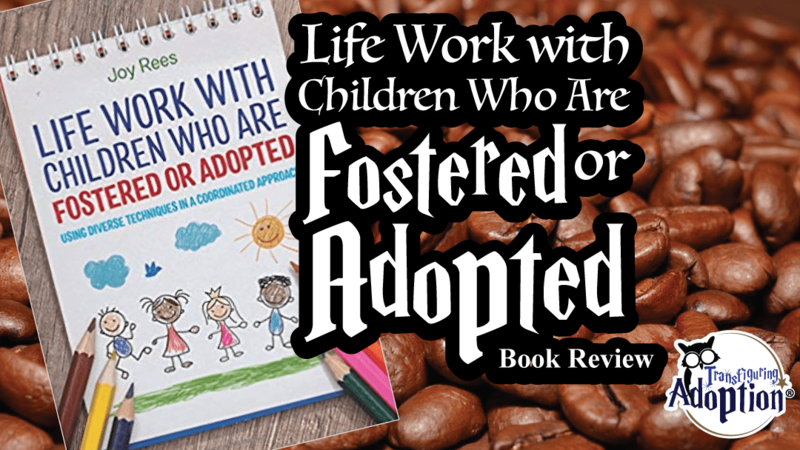 This book is ideal for foster families or caseworkers who have upper preschool or elementary aged-children in their home/caseload. The illustrations, drawn by Nathalie Gavet, portray animals as the characters in the roles of foster mother (horse), caseworker (bear), and foster child (rabbit). The illustrations do a fantastic job of depicting the characters’ emotions for children to observe and connect with. 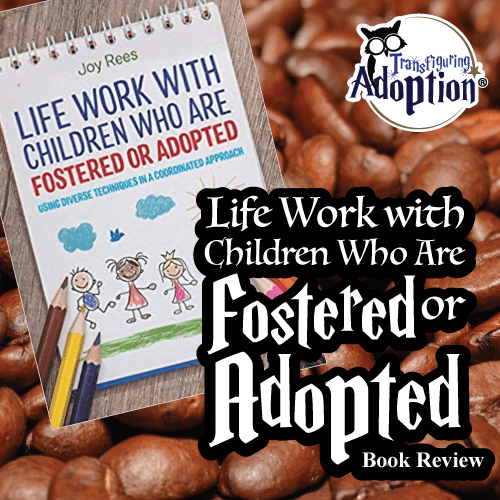 All of our four children expressed that they wished their caseworkers or foster parents had had this book as a tool to help them in their transitions to new foster homes. They feel it really would have helped them get to know their new families and for their new families to get to know them. Why do you think Robbie pretended not to care that he had to move? (for older kids) What can happen when people don’t share how they’re feeling? How do you think things will go for Robbie after his deal with Sammy? 50% of foster/adoptive parents quit the first year. The Transfiguring Adoption​ Elf Squad is a group of people that want to help foster/adoptive families succeed. Buying an Elf Squad membership kit not only brings you into the family but helps to fund projects that resource families. Our newest members, Chris Rankin (aka Percy Weasley in the Harry Potter films) and Vanessa, unbox their Elf Squad Kits.